I want everyone to know that even though 2013 challenges have taken over the main challenge areas, 2012 challenges are not forgotten. If there is any way I can make it easier for you to find what you need or have messed up any links, please let me know! 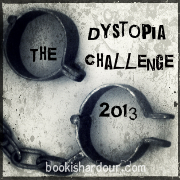 You can contact me about it and leave feedback for challenges via the Challenges page. Main Challenge Page: I’ve cleaned up the main challenge page and added a F.A.Q. for challenges. If you aren’t sure about something check the F.A.Q. and if you can’t find your answer there will be a link to contact me. I want to hear from you if there is a problem. 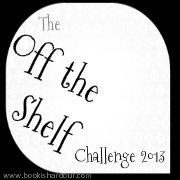 Easier Navigation: Just like with the 2012 challenge posts, I have been linking up like crazy. There is a Quick Links Menu on each challenge page, this includes sign-ups, reviews, and wrap-ups. As well as quick links, if you roll your mouse over the navigation menu above you will be able to see the review and wrap-up pages popping out from their respective challenge pages. Completion to Wrap-Up: I was calling all the completion posts just that, but have started changing it to wrap-up. It was a pet peeve of mine. So if you see Wrap-up and am wondering where the completion is, you found it! Side-Bar Badge: I haven’t updated the banner in the side-bar. 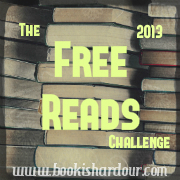 This I will be doing in the new year when the challenges have completely switched over. Reviews for 2012: I will be keeping the widgets open until the 15th of January 2013. If you can’t get a review posted before the end of December, you have the beginning of January to get it in! 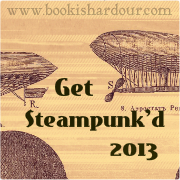 Wrap-Up for 2012: As with reviews, same goes with the completion/wrap-up posts. They close on the 15th of January, 2013. If I have forgotten something or you want to share your opinions on how these challenges work, please let me know! I will welcome all feedback and suggestions, and what have you. 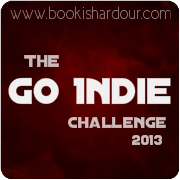 Before I go – Badges! What do you think?